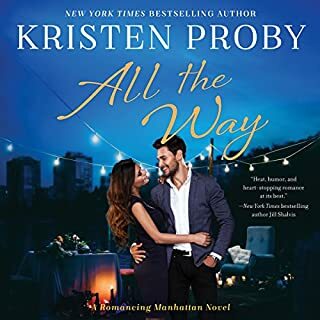 From New York Times best-selling author Kristen Proby comes the first in an all-new trilogy in her beloved Big Sky Series! As the newly appointed police chief, Brad Hull has the responsibility to keep his citizens safe and to maintain order. His roots in this town are deep - five generations deep, to be exact. Cunningham Falls, Montana, is his town, and being a cop and protecting what's his is his passion. 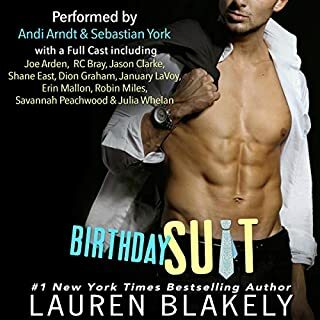 Everything's running like clockwork until a sassy redheaded doctor moves in and disrupts the order - and Brad's focus. She's not just beautiful, funny, and strong. Hannah's everything he's been looking for in a woman. The chemistry is undeniable, and the heat in the bedroom is off the charts. Brad knew the minute he met Hannah that she was the one for him. He's tenacious in his pursuit of her. But when the past catches up with Hannah, will Brad be able to protect her and their hearts? 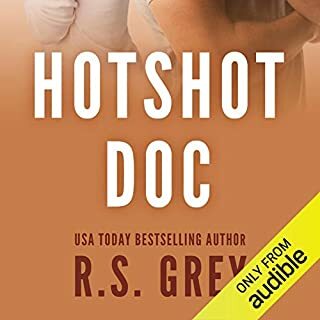 ©2018 Kristen Proby (P)2018 Audible, Inc.
Just adored this book. Hannah with her past problems and Brad just loved her anyway. 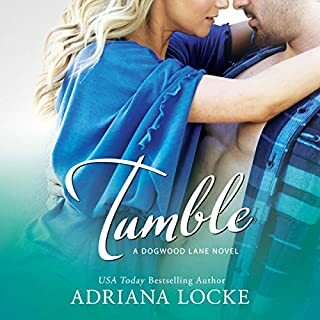 This was a great romance read that just melted my heart. I listened and hoping this story would improve. But it didn't. Kristen Proby can write so much better. The narrator's are new to me and did an excellent job with what they had to work with. The narration was good. Tonal inflection, tempo, etc were spot on. The story had promise, but the heroine wrecked it. I know it was her character to be a worry wart, but it was too much of a bad thing. As someone that suffers from anxiety, it felt too forced. I couldn't finish because I couldn't believe the heroine. I couldn't believe her extreme range of dichotomy and think she was a real person. I'm disappointed because I love Kristen Proby, but this book just wasn't for me. No. I did not enjoy these narrators, Most especially Patrick Garrett. He sounded like an older gentleman rather than a guy in his mid 30’s . I am going to return the audio book for my credit back and then buy the book to read. Hopefully I’ll be able to get his voice out of my head. 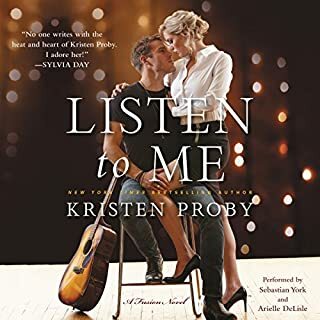 I am a huge fan of Kristen Proby so I know I’ll love the book. But narrators can really make a huge difference in story telling-at least for me they can. Would you recommend Charming Hannah to your friends? Why or why not? I probably would but not the audio book. As mentioned HUGE Kristen Proby fan. Who would you have cast as narrator instead of Morais Almeida and Patrick Garrett ? Not really too sure off the top of my head. Do you think Charming Hannah needs a follow-up book? Why or why not? Idk yet. I wasn’t able to finish the book. I think I made it to chapter 2 before I threw in the towel. Charming Hannah is a sweet and charming romance that is fairly light on angst. Hannah is an OB/GYN doctor who is a bit of a hypochondriac and also has some anxiety issues. She worries that she is just too “crazy” for anyone to have to deal with. 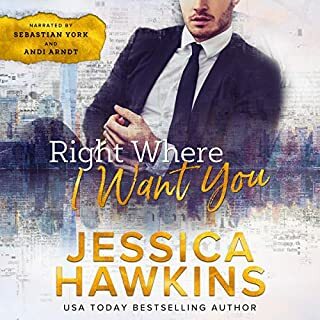 Town sheriff Brad Hull is attracted to Hannah from the first time he had seen her, but has kept a distance until their paths really collide, then he can’t deny that she is the one for him. The audiobook narration was wonderful and I’m glad I decided to listen. The narrators really brought the characters to life for me! Charming Hannah is a feel good romance that had me swooning. This was a absolutely charming book that I could not put down. Brad and Hannah are great together. Them trying to fit a relationship in with their crazy schedules. I loved the fact that Hannah had anxiety and dealt with it. The friendships that each of the characters had and relationship that brad had with his family was great. I cannot wait for the next book in this serious. Kristen Proby did not let me down with this book. Hannah and Brad are a great couple. Brad has the patience of Job with Hannah's panic attacks. Hannah is an OBGYN and Brad is Chief of Police. He is very down to earth and practical. Hannah is that way too when it comes to her job. When personal things get a little too well, personal, she panics and is positive she's dying. With Brad's love and help she is able to overcome most attacks. They are surrounded by loving, helpful, flawed friends. Characters are well constructed and funny. Narration is spot on. The ending was too abrupt. I expected more to this story. For most part, Hannah annoyed me. I understand anxiety issues but she came across as a whinger. Unlike the other books in this series which I really enjoyed this book just didn’t appeal to me. Would you listen to another book narrated by Morais Almeida and Patrick Garrett ? Was Charming Hannah worth the listening time? Not really. It’s not a book I’ll listen to again. Despite not enjoying this book I will happily listen to other books in this series if they are written. 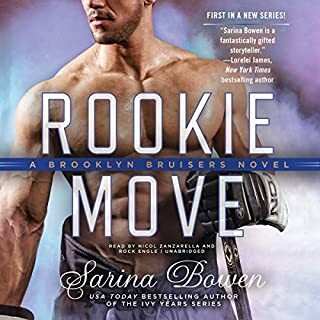 For some reason I didn't fall in love with this book as I usually do with Kristen Proby's books. Even though I can personally relate to the h's anxiety problem, felt a bit tedious that a doctor would not have already sought professional help for this. Narrators new to me but enjoyed their performance enough that I would still give book a 4 overall. I cannot finish, I need to return this. I never have fall asleep with a book but this one knocked me out. Kristen Proby has done it again! Kristen Proby has done it again! Yes, she slayed it, with her spectacular form of storytelling. Her way with words just takes me on an adventure of true sentimental longing! Making the story transform into one of beauty, light, and heart!